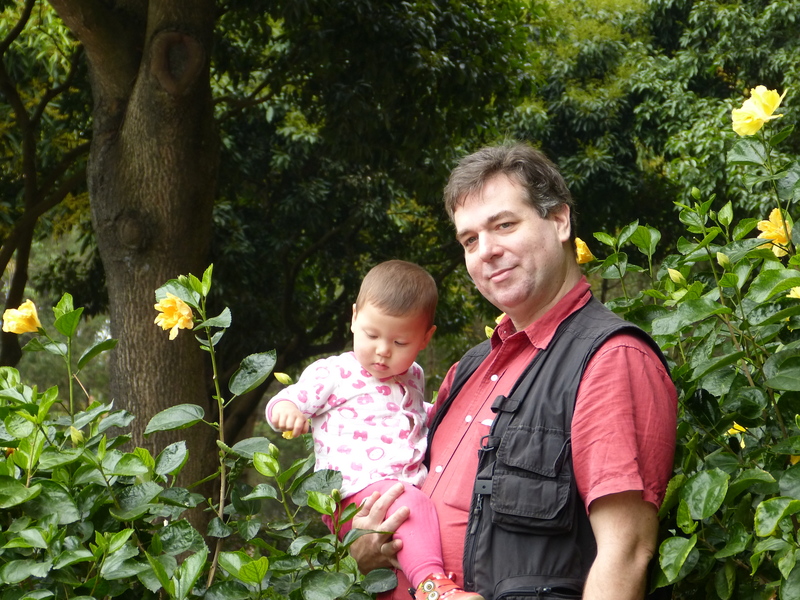 After my birding trip to Poyang Lake and Wuyuan, I spent two weeks with my son Dave, his girlfriend Trissie, and their eighteen-month-old daughter. 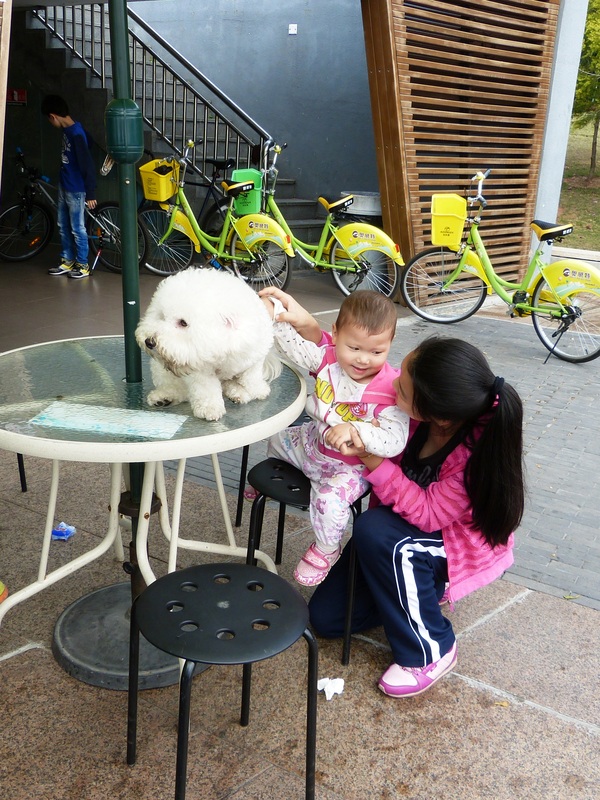 Amber is a beautiful little girl and she attracted compliments everywhere we went. She likes Mommy or Daddy in sight, but is otherwise quite bold and unafraid. She makes friends easily, both human and canine. She loves climbing and enjoys playgrounds, trees, and stairs. She liked the slide at Evergreen Resort, too, and could have played on it all day. She is adventurous with food and will eat anything, even peppers that were too hot for me. Amber is like her Daddy in many ways. I remembered Dave as a baby when I tried to get Amber to sit still for a story. I had no more luck reading to her than I’d had with Dave 45 years ago. 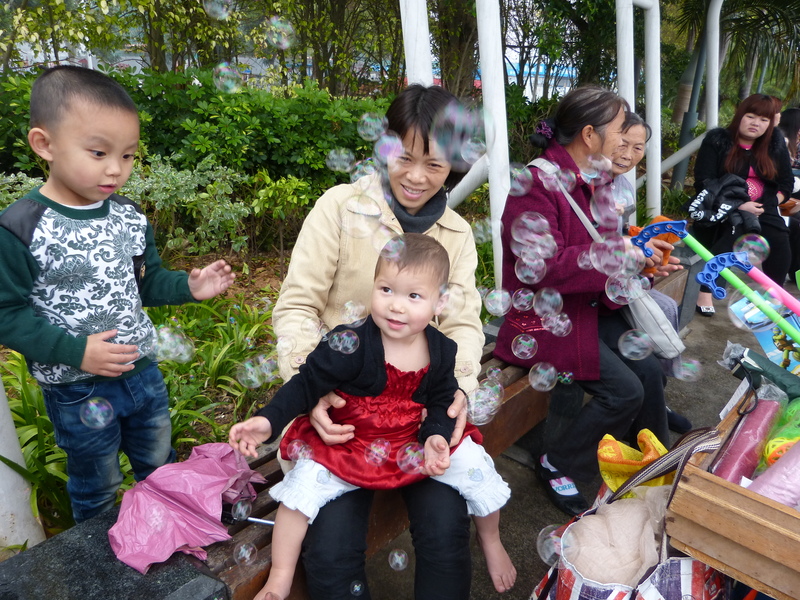 Amber and Trissie playing with bubbles while waiting for the rain to stop. We quickly settled into a routine in which I went birding alone on weekday mornings. I feel totally safe in China and had ventured out a little on my own on previous trips. I knew that the biggest challenge would be communication. 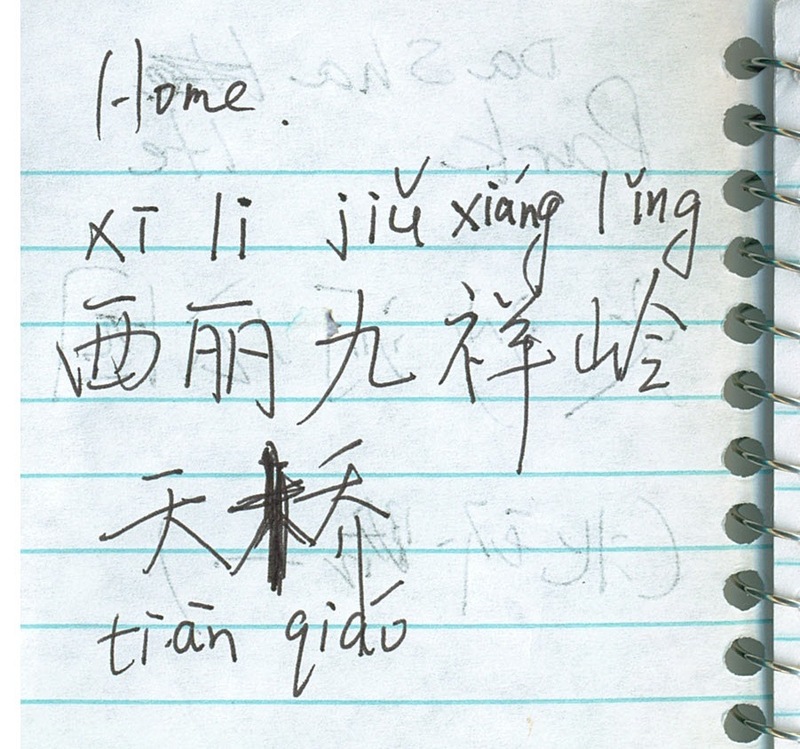 Very few Chinese speak English (including taxi drivers), so Trissie wrote the names of the parks that I wanted to visit in Mandarin as well as directions for getting home. 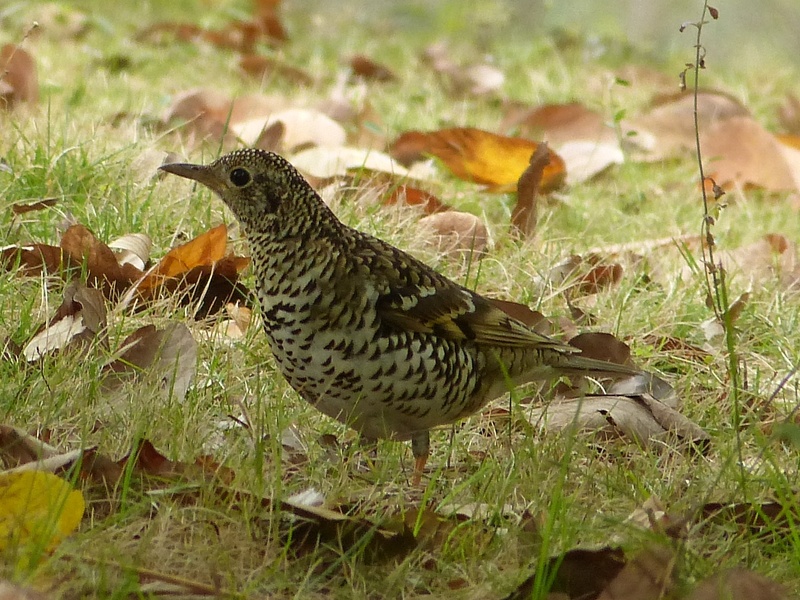 The first day that I got a taxi by myself things went smoothly and I was thrilled to find a life bird, Scaly Thrush, at Da Sha He Park. Scaly Thrush. A life bird that I found by myself in Shenzhen. One day, I decided to take a taxi to a park close to the apartment and then walk home. I naively got in a taxi and the driver started down the road. I showed him my directions and could see that something was wrong. I called Trissie and she talked to the driver. And, then I talked to Trissie. She said “He doesn’t know where the park is. Get out.” I needed her help to even get the driver to stop. Soon I was standing on a very busy street, not knowing where I was, or how to get to the park or back home. I quickly learned to never get in a taxi without first showing the little piece of paper with my destination to the driver and getting a nod “yes”. The next two taxis that stopped that morning both shook their heads “no.” Finally, a bike taxi stopped. I showed him the piece of paper with the park address, he shook his head “yes” and motioned for me to get on the bike. After yet another call to Trissie, I cautiously got on the bike, which was just like a regular bicycle, but with a bigger seat on the back for passengers. The park turned out to be very close and the bike taxi got me there quickly and safely. At the park, I got a little confused about which path to take when I got to the top of the mountain. A very friendly woman called me over and I said “Nǐ hǎo,” the Chinese greeting for “Hello.” That started a long one-sided conversation in Mandarin. I am certain that the man who was with her told the woman that “Nǐ hǎo” was the only Chinese phrase I could understand, but the woman kept talking. She tried to give me a glossy flyer with photos of apartments and prices and her name and phone number. All I wanted was help getting off the mountain! After calling Trissie for help once again, the woman took me by the arm and led me down the mountain path. I could not make her understand that I wanted to go slowly and look for birds on the way. Finally, she let me go when we neared the park entrance and I sneaked back to search for birds. 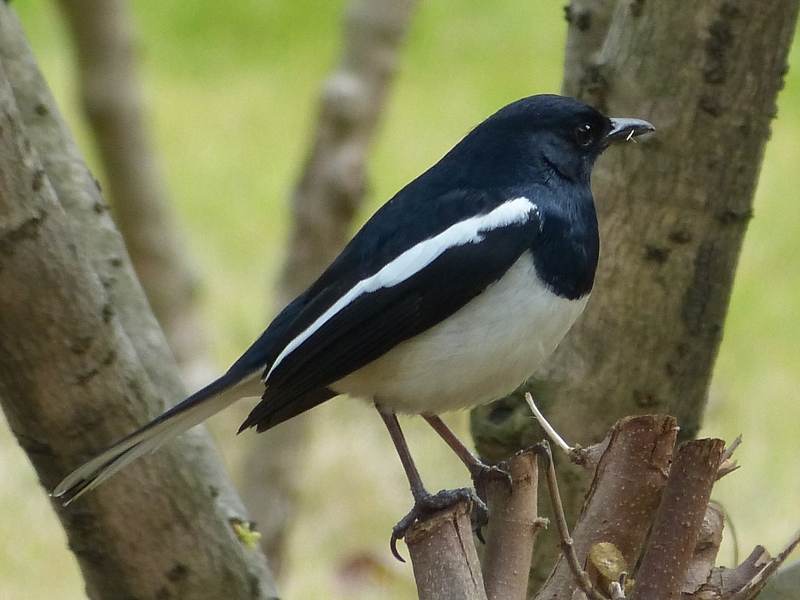 Oriental Magpie-Robin. A common bird in South China. My taxi experiences were inconsistent, but it was usually easier to get to a park than to get back home. Getting home from the park farthest away was easy one day and took four taxis the next day before a driver shook his head “yes” when I showed him my directions. The phone calls to Trissie were made using a phone that she and Dave had loaned to me. I did not check into using my own phone as I assumed that it would be prohibitively expensive and/or just plain not work. So, I could communicate within China, but not with friends at home. I could receive email, but could not send messages. Facebook is banned in China, so that was not an option either. Finally, I figured out that instant message programs that work over Wi-Fi were easy and reliable, but I had not planned for their use in advance. Next time I’ll be better prepared. All the challenges of getting around by myself were worth it, though. 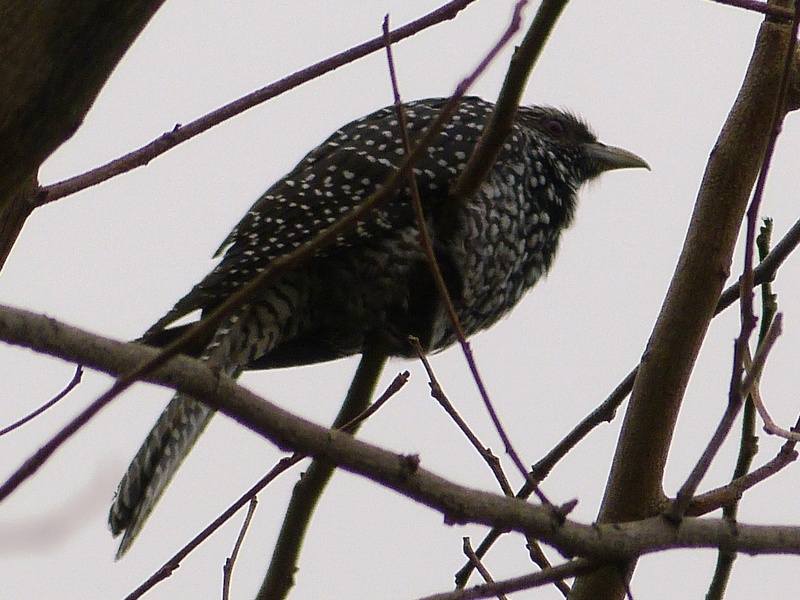 I enjoyed the morning birding and found one more life bird on my own, Asian Koel. It’s a rather common bird and I found two males and two females before the trip was over. 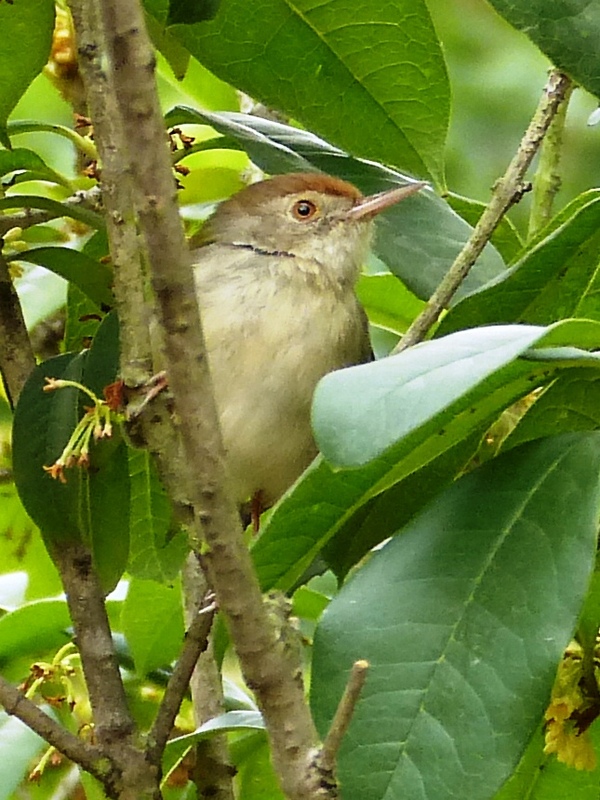 Many birds I had seen only once before, like this Common Tailorbird. I had to work hard to identify them, but even poor photos helped. 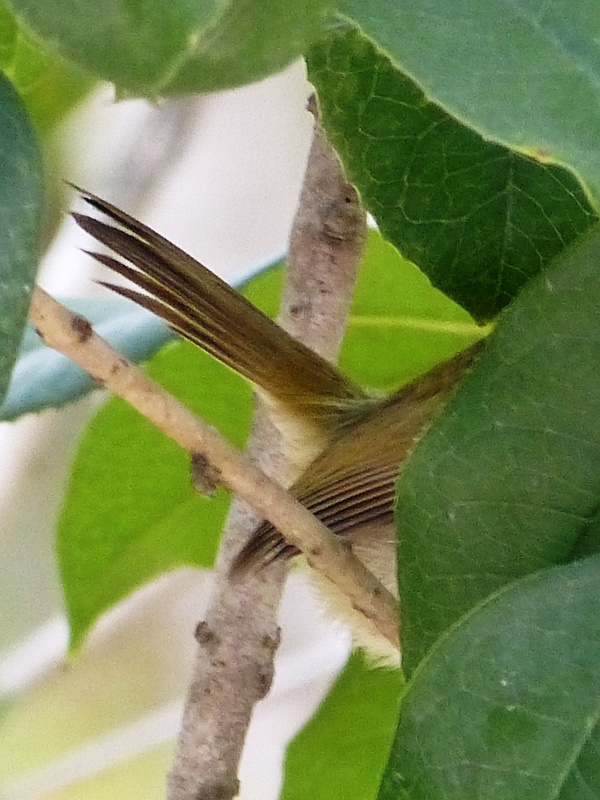 I couldn’t get both ends of the Tailorbird in the same photo, but these two together nailed the ID. 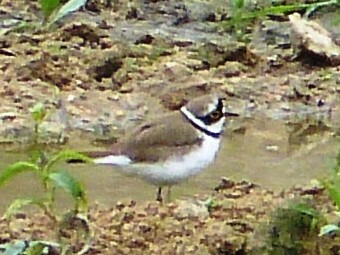 I also had to work very hard to get a photo of this Little Ringed Plover. I never could see the bird in the viewfinder, but had to just point the camera in the right direction and snap a photo. 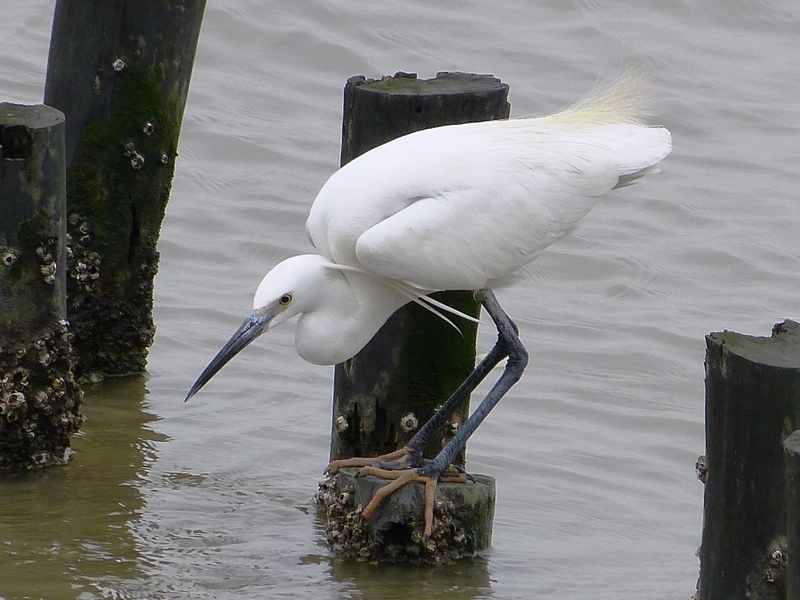 The water birds at Shenzhen Mangrove Coastal Ecological Park were easier to identify and photograph. 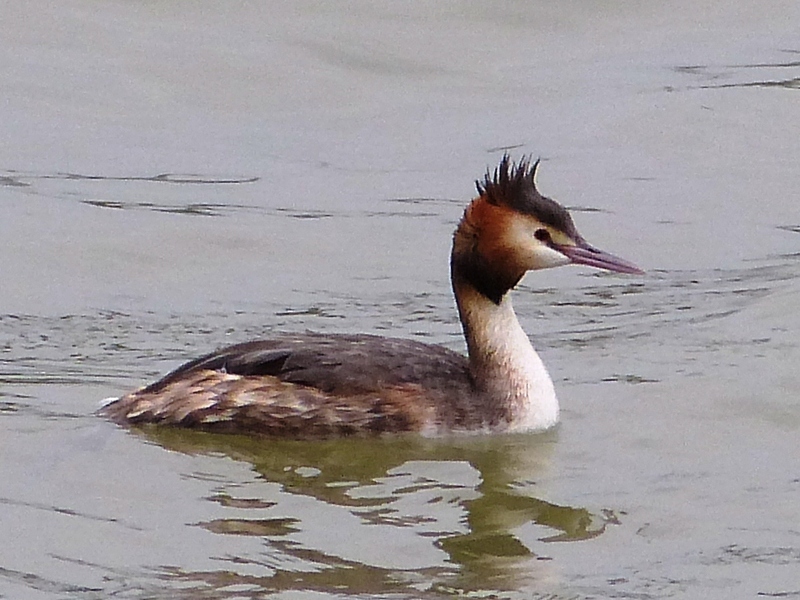 I saw dozens of my ABA nemesis bird, Eurasian Wigeon, along with Northern Shoveler, Great Crested Grebe, Little Egret, Tufted Duck, and many others. 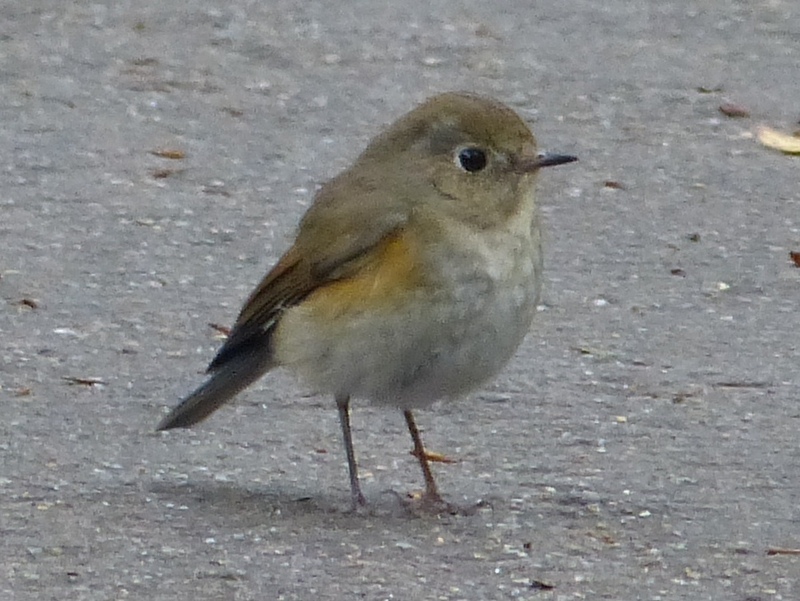 The last bird that I saw in Shenzhen was this lovely female Red-flanked Bluetail. I was disappointed in the park I visited that day, but when I saw this bird as I was leaving, she made the morning worthwhile! Birding alone in a foreign country is a great way to learn birds. I was able to identify 51 species in two weeks. I noticed details (and will remember them) much better than when I had a guide. I would not want to do all of my birding alone, but it’s a great complement to a few days with a guide and I look forward to doing it again. 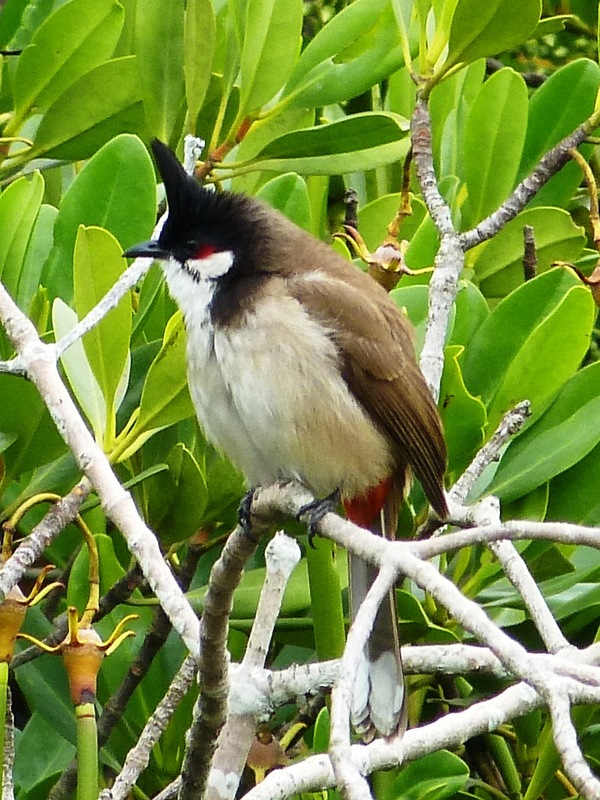 Red-whiskered Bulbul – a common bird, but one of my favorites. I enjoyed the experience of living in China for nearly three weeks rather than visiting as a tourist. I thank Dave and Trissie for doing so much to make it easy and comfortable for me. The dates for this part of the trip were February 24 to March 10, 2014. More photos of Amber can be seen in my Flickr set Amber – Feb/March 2014. Photos of the birds that I saw in China (including the first part of the trip) are in my Flickr set China – Feb/March 2014 (Birds).